I recommend using a toothpick, gets the film off without scratching the metal. Matt_Bored_O, siblingchris and VWatchie like this. 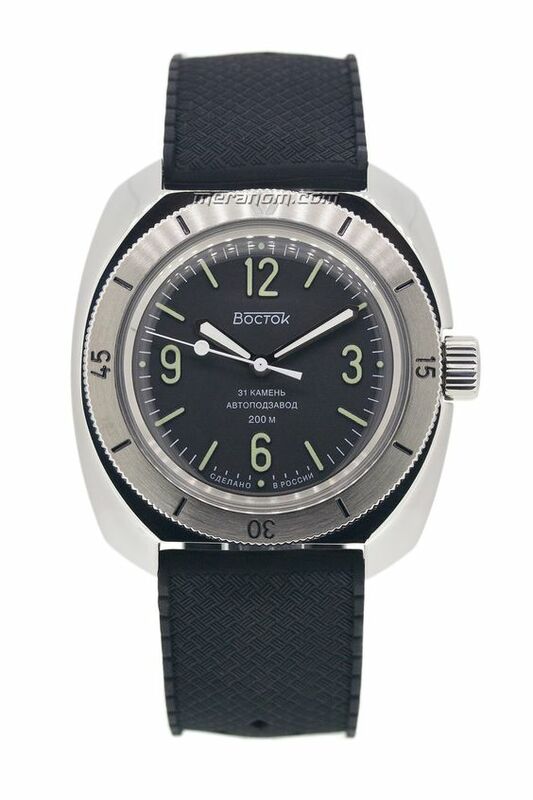 I’m planning on taking a Vostok 2415 of mine apart for servicing. Having serviced a few 2409s I’m familiar with most of the process but I need info on how to tackle the parts of the automatic winding system. I’m always afraid of damaging things and of springs and the like flying into space. I browsed Ratfaced Git’s videos but he only takes a 2415 (and 2416B) somewhat apart. Any tips on videos or posts on how to proceed? Thanks comrades and have a nice weekend! Last edited by VWatchie; October 14th, 2017 at 10:09. Found it , and I think it should be helpful enough! Ptolomeo74 and VWatchie like this. In preparation for eventually servicing a 2416B movement, I’m servicing a 2414A (my first) to make myself familiar with the date complication. Before this, I’ve only been working on 2409 movements which I’m now beginning to feel pretty well familiar with and this made me notice an unexpected difference. The watch I’m working on is a "scrap" Komandirskie that I picked up on eBay for a few dollars. As can be seen in the picture it has the 3AKA3 label on the dial. What I wonder is if the difference I found is related to the fact that it is a 2414A movement or the fact that it is a 3AKA3 "version", or that the explanation is something entirely different? So, the difference I found is that the cannon pinion, the seconds hand pinion, and the cylinder of the hour wheel is taller than that of the 2409 movement. For example here is a picture of the cannon pinion of the 2414A (right) and the cannon pinion of a 2409 (left) side by side. My guess is that these parts need to be taller to make room for the date wheel, i.e. that it is a characteristic of the 2414A movement, and consequently, these parts (cannon pinion, seconds hand pinion, and hour wheel) are not interchangeable with the 2409 movement, no? My next question concerns the hands. As can be seen in these pictures, the hands are rusty, and as can be seen on the dial, the underside of the hour hand has been scraping into the dial. I’d like to keep these hands but I need to get rid of the rust, at least on the underside of the hour hand. I’m afraid that if I try to scrape off the rust I’ll scrape off the corroded lume too. Any recommendation!? Out of curiosity, should I want to replace the hands, would standard 24xx hands fit? As it's been a couple of days since I posted the above and no one has replied, I just want to add that I'm planning to dismantle one or two more 2414s in the coming months or so. I then hope to be able to conclude whether the taller cannon pinion, seconds hand pinion, and hour wheel is a characteristic of the 2414 or not. I'll report back then! Last edited by VWatchie; October 18th, 2017 at 08:48. I'm happy to report that comrade schnurrp has confirmed that the cannon pinion, seconds hand pinion, and hour wheel of the Vostok 2414A and the Vostok 2409 are not interchangeable. Valuable information, so thank you very much! Last edited by VWatchie; October 21st, 2017 at 20:36. I forgot to mention that I made the replacement just a few days after I wrote the below post. It was a pretty straight forward operation. For anyone in the same situation looking for advice, please feel free to PM me and I'll try to assist! Nine months ago or so while taking my first steps trying to learn a bit about watchmaking, I’m pretty sure I accidentally ruined my Amphibian SE 710555S and wasn’t able to fix it. As I was so fond to this watch (it’s still one of my definitive favorites) I decided to replace the movement with a brand new 2415 movement. The full story here. It was only after this that I learned that the hands of the 2415 SE movement wouldn’t fit the regular 2415 movement. Dmitry at Meranom.com then told me that what I had to do was to "replace the minute and second pins". At that time it was simply beyond my level of watchmaking knowledge, abilities, and tools to do so, so I decided to get some really beautiful hands from IgorIV (called cathedral hands, as I later learned from saturnine) and mount them on the normal 2415 movement. Now, nine months later I’m happy to say I have gained the knowledge, skills, and tools to make the replacement. So last night I emailed Dmitry and asked him if these were the parts he was referring to (please see the images), and he very quickly confirmed it was. Фантастика! Now, Dmitry refers to these parts as the "minute pin" and the "second pin". Generally, I believe these parts are called "cannon pinion" (minute pin) and "seconds hand pinion" (seconds pin), but please correct me if I’m wrong! I didn’t think I would have to ask Dmitry to confirm this because I had gotten myself a digital precision vernier caliper with a repeatability of 0.01 millimeters with the plan of simply comparing the measurements of these parts. However, as the differences in diameters were minimal (to say the least) I still decided to get in touch with Dmitry to make absolutely sure. I still haven’t made the replacement but plan to do so soon. Once finished I’ll let you know how it worked out and hopefully, I’ll have the time to make a guide about how to do it. I guess the following info isn’t super useful and may not be 100 % precise, but for what it’s worth here are my measuring results. 2415SE: 2.57 millimetres (Meranom's SE Amphibians). I had a set of aftermarket hands recently where I was unable to get the seconds hand to mount on a 2409. There didn’t seem to be enough depth on the tube. I assumed that the problem was with the manufacturer but the above indicates it could potentially have been 2409 vs 2415/6 issue.